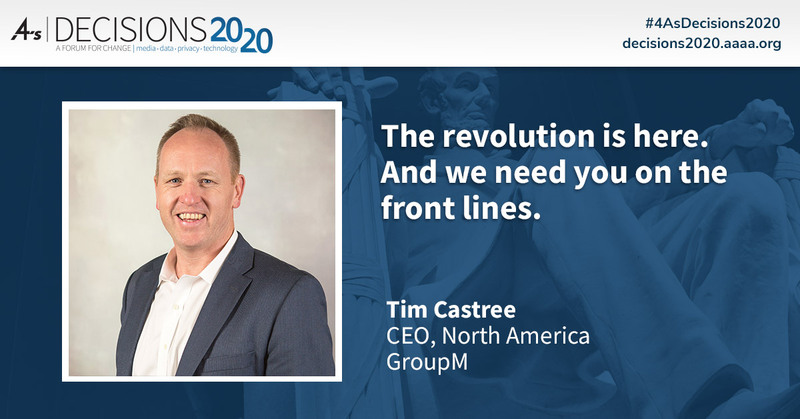 Tim Castree is North American CEO of GroupM. Tim’s diverse leadership experience spans 20 years in creative, media and integrated agencies. He most recently invented a brand-new agency, Wavemaker, from the merger of MEC and Maxus. He has worked closely with a mix of local, national and global advertisers like L’Oreal, Colgate Palmolive, Mondelez and Vodafone. Tim is leading the radical evolution of GroupM’s business in the world’s largest advertising market with a pointed focus diversifying capabilities and expanding use of data and automation for insights-driven campaign optimization that delivers advertiser growth. Mark joined GroupM in 2007 from Initiative where he was CFO - North America and was a member of the Executive Committee responsible for development and execution of operating strategy and tactics. Prior to that Mark was SVP - Worldwide Controller of Cohn & Wolfe, a WPP public relations company where he implemented financial systems and controls to support the company's double digit growth rate. Prior to Cohn & Wolfe, Mark was Assistant Controller at Loehmann's, Inc. and the led the Company's initial public offering. He's also held the position of International Audit Manager at Toys "R" Us, Inc. traveling extensively throughout Europe, Asia and Australia. Mark began his career at Ernst & Young where he served a variety of clients in the retail, manufacturing, and distributions sectors. Mark is a Certified Public Accountant and serves on the A.A.A.A Media Finance Committee. He lives on Long Island with his wife and three children. Lyle Schwartz is President of Investment, North America, with responsibility for overseeing investment in the company’s largest region, where more than $30B (RECMA) is invested on behalf of clients annually. Schwartz has more than 30 years of experience at WPP inclusive of his early positions at Y&R prior to its acquisition by WPP. Schwartz helped build the research department at GroupM, which is already fully integrated into the trading organization to support insights-driven ‘one voice trading,’ another point of distinction in GroupM’s approach to media investment. Schwartz has made significant contributions to a number of company and industry-wide milestones, including the development of C3 ratings for time-shifted TV, defining viewability in digital and pushing the industry for platform-agnostic video measurement. All North American investment team members across TV, digital, radio, print and local now report up to Schwartz. 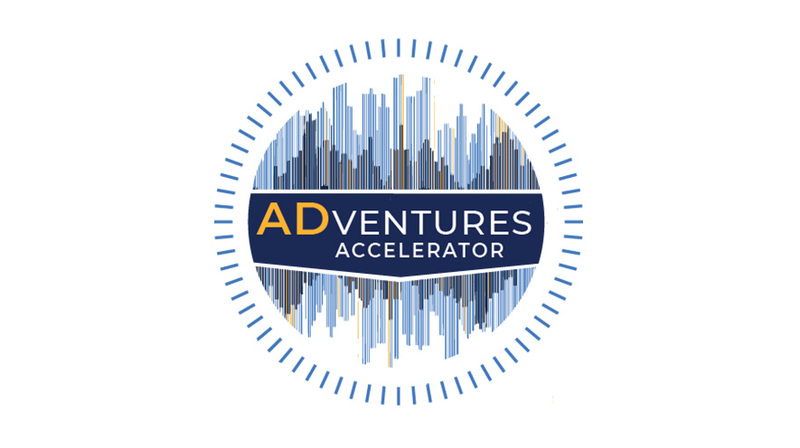 Susan Schiekofer is the Chief Digital Investment Officer for GroupM North America. She is responsible for digital trading and implementation across all of GroupM’s agencies including Mindshare, MEC, MediaCom, Maxus, and Essence. Susan’s digital skill set, coupled with her broader knowledge of trading best practices across all media formats, ensures that GroupM continues to lead the market with the best, most valuable and accountable digital solutions for clients of GroupM agencies. She is figurative in GroupM’s efforts to improve the integrity of the digital marketplace in the U.S. by championing viewability, anti-fraud safeguards, measurement, and standards. Schiekofer has been a leader in the digital media space at WPP and GroupM since 1994. She founded the digital media offering at Ogilvy & Mather, which was later rebranded to Neo@Ogilvy, and worked on accounts including IBM, TD Ameritrade and Lenovo, among many others. In 2010, Schiekofer joined MEC to head up the AT&T digital business, and soon became responsible for all of digital at MEC. In July of 2014, she moved to GroupM to lead digital investment for Maxus and MediaCom, and to assume responsibility for all of online video. Kristin Mooney is the Chief Talent Officer for GroupM in North America. She is responsible for directing all Human Resources and Recruiting activities for GroupM and our agencies Mindshare, MediaCom, Wavemaker and Essence. Kristin works with the leadership to ensure that we have the right people, programs and strategy in place to win as an organization. Human Resources has been a lifelong calling for Kristin and she has pursued it on both the agency and client sides. Kristin came to the group in 2012. Previously she held roles with Omnicom and a joint venture between LVMH and Diageo. Her first job in the industry was with Ogilvy and Mather. Evan Hanlon is U.S. Chief Strategy Officer. A member of the North American Executive Committee, he informs all group strategic decisions in the world’s largest ad market. GroupM’s first-ever CSO, Hanlon is leading collaborative innovation in media planning and buying as consumer behaviors in media consumption and commerce rapidly evolve. Currently, Hanlon is driving a comprehensive transformation program in the U.S., creating centers of excellence for mission-critical client services and capabilities. This includes leading a U.S. Operations Board of GroupM and agency executives and a Program Management Office (PMO) with change-driving project managers. Hanlon was prior U.S. President of [m]PLATFORM, GroupM’s global data and technology solution, and before that Vice President, Strategy & Investment at Xaxis, GroupM’s outcomes-driven programmatic audience company. Deepening GroupM’s offer in data, analytics, technology and automation has been a focus for Hanlon through his entire GroupM tenure. Hanlon is a graduate of Harvard University with a B.A. in Visual and Environmental Studies. As President of GroupM Multicultural, Gonzalo Del Fa plays a key role in all aspects of the multicultural media and marketing efforts initiated by GroupM and its agencies. Under his leadership, GroupM Multicultural handles over $1 billion in billings from clients such as Unilever, Anheuser Busch, General Mills, Target, Mars, Nestle, Subway, Colgate, Bayer, Kimberly Clark and KFC; and is the largest Multicultural division in the U.S.
Del Fa first joined GroupM family in 2003 as managing director of MEC Argentina. In 2006, he moved to New York to launch MEC Bravo, and in 2008 MEC Bravo introduced its Nuevo American segmentation model, expanding the definition of Hispanics beyond traditional demographics such as language spoken, level of acculturation or generation into attitudes, behaviors and motivations. Before anyone was talking about Total Market, Gonzalo created Total Reach—the first tool that was able to calculate effective reach across General Market and Hispanic consumers. 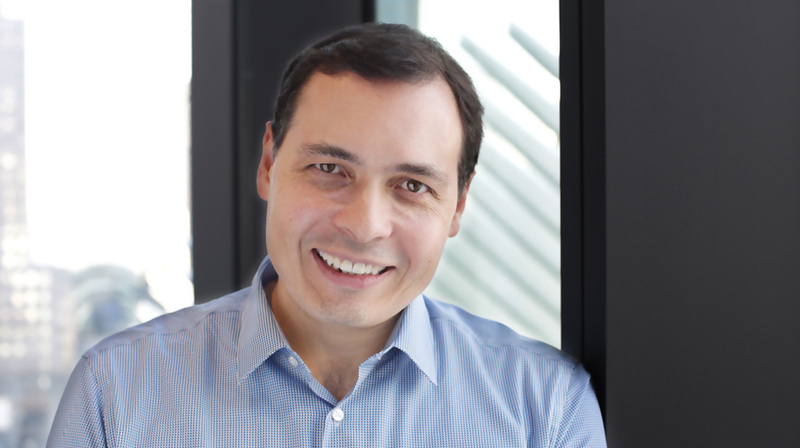 After launching additional Multicultural practices for Mediacom, Mindshare and Maxus, Gonzalo became President of GroupM Multicultural in 2013, combining all of GroupM’s agencies under one banner, and strengthening its multicultural offering by launching several proprietary tools such as Volumizer, Gap Analysis and Tension Points. Del Fa started his professional career at American Express Argentina and prior to joining GroupM, he worked for Visa, Hachette Filipacchi and Editorial Televisa. In his spare time, Gonzalo loves playing drums with The Raging Bulldogs, the GroupM hard rock band. Adam is driven by the desire to bridge the gap across all facets of communications, leveraging experience in global and local accounts, media and PR backgrounds, and clients as diverse as FMCG and consumer electronics. Adam was appointed the CEO of Mindshare US in February 2016. Previously the West Coast Lead for Mindshare North America, Adam drives the strategy and execution of the agency's services with a strong vision for creative media, to grow the office and its client business. He came to Mindshare L.A. from Mindshare Worldwide, in London, where as Managing Partner he led the growth of multinational clients Nestlé and BP. His tech experience ranges from SAP to Samsung, where we led the international development and rollout of strategies across 40+ markets. From negotiator to planner, domestic to global, analogue to digital, he applies his skills to a variety of situations. He is an active member of The International Advertising Association, and is passionate about mobile marketing. He previously sat on the MMA board, and is actively involved in the promotion of widespread marketing adoption. Sasha Savic leads over 600 employees in delivering brilliantly connected systems of content and channels. Prior to joining MediaCom in 2012, Sasha was COO for Havas Media Group. He has also served as EVP and Global Managing Director for SMG/Publicis Groupe. In 2013, Sasha was named a “Media Maven” by Advertising Age. As US CEO, Amanda Richman is leading the launch of Wavemaker, a brand new billion-dollar revenue media, content and technology agency born from the merger of GroupM’s leading global networks, MEC and Maxus. Amanda’s 20-plus years of experience in digital, investment, innovation and client leadership puts her at the center of the agency’s transformation as she enables its nearly 1,500 talented people across six U.S. offices to deliver audience-centric solutions. Clients include Campbell Soup Company, Church & Dwight, IKEA, L’Oréal USA, Marriott International and Paramount, among others. Prior to Wavemaker, Amanda served as President of Starcom USA. As the leader of a 500+ person investment practice, she orchestrated a complete shift in the agency model, moving from siloed investment teams to integrated, cross-channel expertise and differentiated partnerships across the organization. Previously, she served as President of Digital for Mediavest and digital lead at SMG for Emerging Markets, expanding U.S. best practices to Russia, India and China. Amanda's reputation for motivating clients to embrace innovation and integration has garnered numerous accolades, including 4As “100 Greatest People in Advertising” (2017), ad:tech “Industry Achievement” (2015), Advertising Age “Media Maven” (2012), Mediaweek “Media All-Star” (2009), and Advertising Age "40 Under 40" (2006) recognition. When in the UK, Steve was the chair of the Independent Practitioners in Advertising [IPA] Media Futures Group; a confident speaker at industry, governmental (speaking at the House of Lords on Advertising regulation), and international forums. He is also a frequent judge for key events both locally and globally: Campaign (UK), Media Week (UK), IPA, Irish Effectiveness, Creative Media Awards (US), Cannes Lions (Global), Festival of Media (Global and North America), and the North American Effie Awards [US}. Alan was appointed U.S. President of m/SIX USA in 2018. Since then, the agency has doubled in size and revenue, with Alan leading the agency and its biggest accounts including Aetna, AstraZeneca, Chico’s, David Yurman, Giant Eagle and Regions Financial. This recent success follows four consecutive years of agency growth and builds on m/SIX’s thriving collaboration with The&Partnership, providing its clients with a unique and robust suite of integrated data, media and creative solutions — all under one roof. Prior to his work at m/SIX USA, Alan served as Global Client Lead for Facebook at GroupM’s Mindshare, where he managed brand campaigns and initiatives for Facebook, Instagram, Messenger and WhatsApp, plus launched their Marketplace, Oculus, Portal, Live and Watch products. To service the business, Alan built a global team across more than 35 different countries. Before his time at Mindshare, Alan worked at DigitasLBi, Carat and Mediacom. Alan tackles problem-solving with a transformative approach while inspiring clients to evolve alongside changing media landscapes. He minimizes problems using the “Murphy’s Law” technique – a proactive approach to mapping out potential hurdles and planning for solutions ahead of time. Related to this approach, Alan purposefully surrounds himself with people of varying viewpoints and skill sets while empowering colleagues to share and voice their opinions.